Back in April 2012, we first wrote a short summary about Taxistartup, a Belarusian startup which offers cloud-based services to existing taxi and bus companies. Having further developed the service, Taxistartup is ready to make its global mark. 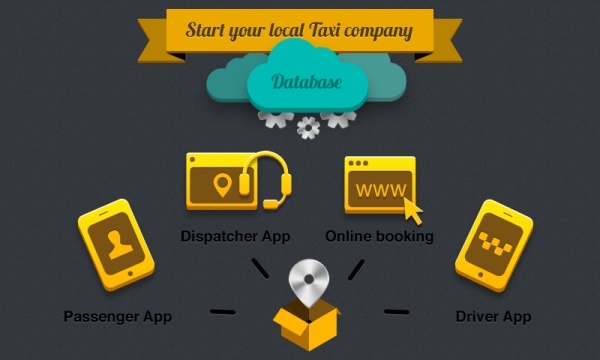 Taxistartup’s value to existing cab and limousine companies is in the cloud-based apps that they provide. The company offers a package of apps which will cater to drivers, passengers, and dispatchers and would allow companies to eliminate some of their existing infrastructure and move their business to the cloud. Via API the cab services can receive orders from taxi ordering apps such as myTaxi, TaxiPal or Taxi Magic. Apps provided offer passengers the ability to hail a cab or limousine (even to select based on driver ratings), dispatchers the ability to manage orders and dispatch drivers, and drivers the ability to accept payments and to more easily manage their orders. In addition to offering companies the ability to largely eliminate physical infrastructure, Taxistartup claims to provide a more environmentally-friendly service. Their intelligent system dispatches the closest driver to a particularly passenger, which should save a decent amount of money on gas over the long run. Further, the company offers a discount to companies which operate electric, hybrid, or natural gas-powered vehicles. On a final note, the team behind Taxistartup is also launching a passenger-oriented app call saytaxi. Suslo tells me that this particular app will be the service which will allow customers to order a cab based on driver-rating. I’m told that, unlike the other apps, which are designed to be a B2B service, this app will be geared towards passengers. Nevertheless, it will be included in the overall package that Taxistartup offers. This service will launch in the AppStore and Google Play this autumn.